Did you know that there are a variety of ways in which you can pay for goods or services you receive from us. Our most popular payment methods are Cash, Credit Card, or Debit Card. We accept all major Credit Cards, including AmEx. The Valley Vets Pet Health Club covers the essential treatments your pet needs throughout life, such as vaccinations, flea and worm treatments and regular health checks, whilst spreading the cost throughout the year by making monthly direct debits. Members of our Pet Health Club also receive lots of other benefits and discounts. 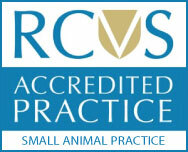 See full details at https://www.valleyvets.net/pet-health-club/overview, or pick up a leaflet in one of our branches. Direct Insurance Claim. If you are insured, your pet needs continuing treatment or major surgery and your finances are stretched, you can apply for a Direct Insurance Claim, enabling us to claim payment directly from your insurance company. The acceptance of a Direct Insurance Claim is always at our discretion and you remain liable for the excess and a small administration fee we charge to initially set it up. We do not charge you to fill out claim forms. Until we receive payment from your insurance company your account remains in arrears. Should your insurance not pay out for any reason, you remain liable for the outstanding amount. Interest Free Loan. We are able to offer interest free loans through a third party, Braemar Finance. To qualify, you must be employed for a minimum of 16 hours a week and have a good credit rating. The minimum loan amount is £250. The loan can be agreed over six, or ten months and can be used in conjunction with other payment methods.